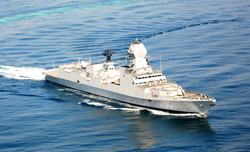 New Delhi: The Indian military's Andaman and Nicobar Command is going to host biennial multinational naval event 'Milan-2018' at Port Blair from March 6 to March 13 with the underlying theme of "friendship across the seas", it was announced on Sunday.The event will see a mix of professional exercises and seminars, social events and sporting fixtures. 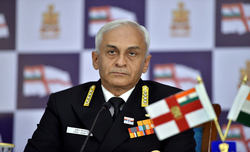 The inaugural address will be delivered by Navy chief, Admiral Sunil Lanba. The social interactions planned during Milan 2018 include display by Indian army and navy bands, ship visits and colourful cultural evenings. Several events will be open to the public including displays by sky diving team, Beating the Retreat and naval continuity drill, an official release said. An International City Parade will be held along the Marina Park Road, with marching contingents from all participating foreign naval ships as well as the Indian armed forces. The parade will include a flypast and aerobatic display by military aircraft and demonstrations of various military operations. 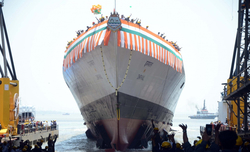 Besides, visiting foreign ships will also be open for visits by school children and local public. Milan-2018 will culminate with passage exercise at sea by all the participating naval ships. "Milan 2018 aims to showcase the rich heritage and pristine natural beauty of the Andaman and Nicobar Islands to the foreign visitors," the release said. Besides fostering co-operation through naval exercises and professional interactions, the event is also aimed at providing an opportunity to the participating navies to come together in a spirit of collaboration to nurture stronger ties. "The growing participation over the years bears testimony to the success of this multilateral initiative. 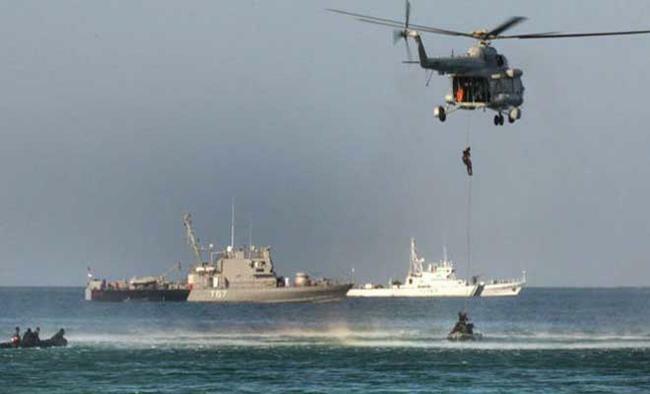 From an event of sub-regional context started in 1995, Milan has now grown into a prestigious international event and encompasses participation by maritime forces from not just the Bay of Bengal and South East Asia but the larger Indian Ocean Region (IOR)," it said. The interactions during Milan encompass sharing of views and ideas on maritime good order and enhancing regional cooperation for combating unlawful activities at sea. The theme of this year's Milan International Maritime Seminar is "In Pursuit of Maritime Good Order -- Need for Comprehensive Information Sharing Apparatus". The Indian Navy has also appealed to the public in Port Blair to "reach out to the visiting navies and make their stay a memorable one".